This pencil always has the right answers! It's a cylindrical sleeveless knee-length tunic of polyfoam and poly interlock knit. 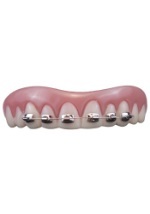 The top of the costume is pink to resemble an eraser, above a silver metallic band to represent the ferrule, which has an oval opening for the face. Inside the costume is a hood for the head, and the eraser and ferrule portions need to be stuffed with tissue paper around the hood before donning the costume. 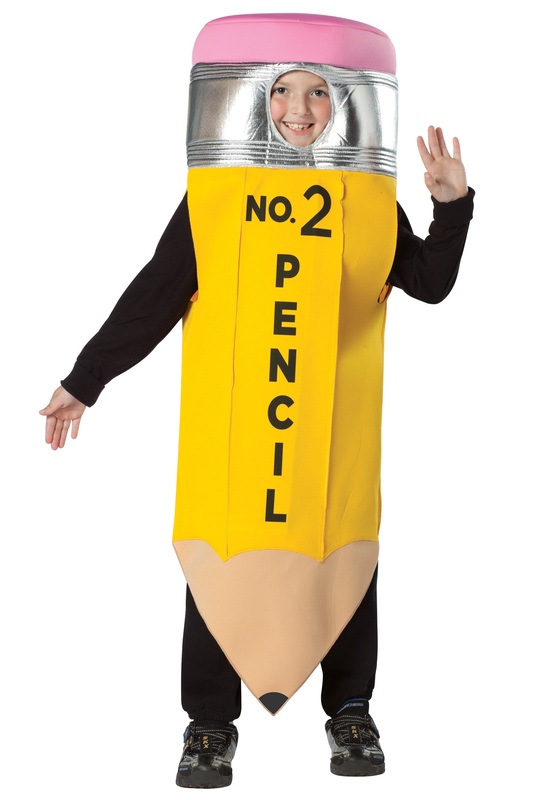 The body of the costume is bright yellow-gold, with "#2 PENCIL" printed on the front; the front is polyfoam and the back is interlock knit. 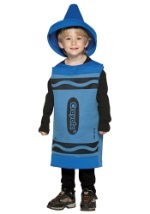 This is a fun costume for a budding artist or writer!